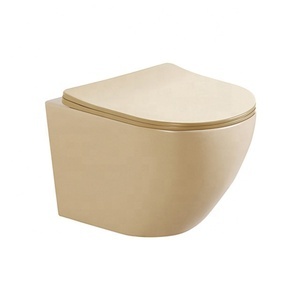 ,Limited Name Ivory color ceramic toilet / bathroom commode design Brand BF Type Washdonw bathroom commode Item No. 2.Can we combine many items assorted in one container in my first order9 Yes,you can. 3.What is your delivery time9 Usually we can deliver the goods within 30-35 days after we confirming the order. 3 YRS Shantou Mwd Ceramics Co., Ltd.
1.Your inquiry related to our product and price will be replied within 24hours. 2. Professional sale managers are able to answer all your inquiries in English . 6)We are an experienced and professional porcelain products supplier from China. 16 YRS Guangdong Chuangfa Ceramics Industrial Co., Ltd. Factory use international advanced tunned kiln,fully automatic slip castin equipment,and industry leading technology to develop various style ceramic products. YIDA--- all products have been thoroughly tested and have undergone very strict quality and durability filters. YIDA's products have passed Australia(WM) quality certification,Saudi Arabia SASO,Nigeria SONCAP,ISO9001:2000 quality management system certification and American UPC certification,ect. 3 YRS Guangdong Jixiang Ceramics Industry Co., Ltd.
,Ltd Bathroom sanitary ware ivory one piece toilet Name Bathroom sanitary ware ivory one piece toilet Brand Meizhi Type Washdown one piece toilet Item No. 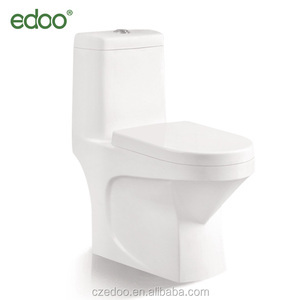 M8010 Material Ceramic Feature Dual-Flush Color White/Ivory/as the customer's request Size 720*365*790mm Advantage Water-saving,Tornado-Flushing,Ultimate configuration,Tube-glazing technology,Strictly QC Flushing Method Gravity Flushing Drainage Pattern S-trap:250/300 mm Roughing-in P -trap:180mm Roughing-in Installation Floor-Mounted Min Order Quantity 50PCS OEM/ODM Available for ivory washdown one piece toilet Certification ISO9001:2000 Payment T/T 30% deposit,70% balance before shipment. Packing Export packing (1pc per carton,5-ply cartons for carton box) Transportation By sea/air transportation / as request Delivery port SHENZHEN PORT/SHANTOU PORT Delivery Time Within 30-45 days after receiving the 30%TT deposit Business Type Professional sanitary ware factory/manufacturer Production Capacity 20000 Set/ Sets per month Place of Origin Guangdong China (Mainland) for ivory washdown one piece toilet Related Products one piece toilet two piece toilet color toilet wall hung toilet pedestal basin art basin cabinet baisn wall hung basin bathoom cabinet squatiing pan urianl bidet Packaging-toilet Contact us How to contact us9 Send your inquiry details in the below,click" Send "Now! 2 YRS Weifang Xinjie Sanitary Ware Co., Ltd.
Fluidmaster Life time 200,000 times on/off for 20 years Warranty 1 year Advantage Item name: tiles price toilet Delivery Time: 10days Model No: C01003W-3 Sample Time 2days Package: Carton Departure Port GUANGZHOU MOQ 1 Set G.W. (Kgs/CTN) 34 Color: White ,Beige Package (m&sup3;/CTN) 0.24 Payment Terms: T/T, LC AT SIGHT PCS/CTN 1 Q&A 1 , Do you charge for the samples9 tiles price toilet YES , We just charge the samples based on EXW price, and return the fee to the next order. 3 , What's the MOQ9 Two sets based on the stocks and the normal items,otherwise 45days for the new production tiles price toilet 2, , Can you produce according to customers' design9tiles price toilet Sure, we are professional maunfacturer, OEM and ODM are both . 3 YRS Chaozhou Baiyi Ceramics Co., Ltd.
7.Temperature:More than 1200 degree high fire,good quality and not easy to scratch. Q:Is it possible to add client's logo on the products 9 A:Yes,OEM service is acceptable. 3) Q: What is the normal lead time9 A: Most of the items can be shipped within 15 to 30 days after your deposit. 4) . 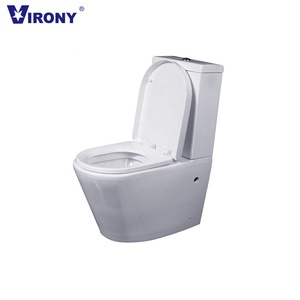 2 YRS Xiamen Homemark Building Materials Co., Ltd.
1 YRS Chaozhou Chaoan Gelilai Ceramics Co., Ltd.
1 YRS Greatmascot International (guangzhou) Co., Ltd.
Alibaba.com offers 8,780 ivory toilet products. About 47% of these are toilets, 24% are bathroom sinks, and 1% are prefab houses. 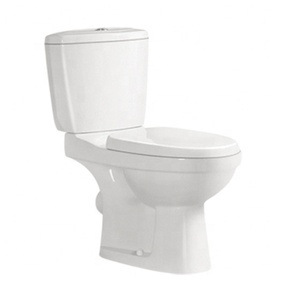 A wide variety of ivory toilet options are available to you, such as ceramic, stainless steel. You can also choose from dual-flush, automatic operation. As well as from s-trap, p-trap. And whether ivory toilet is floor mounted, or wall mounted. 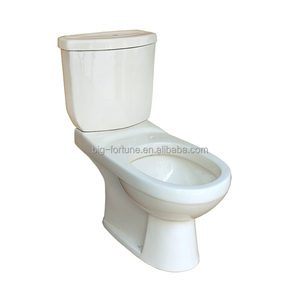 There are 8,780 ivory toilet suppliers, mainly located in Asia. 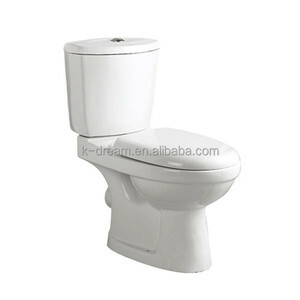 The top supplying country is China (Mainland), which supply 100% of ivory toilet respectively. 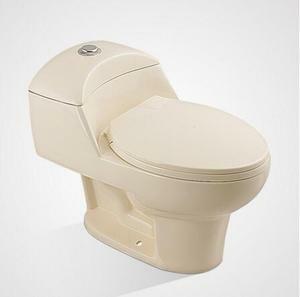 Ivory toilet products are most popular in Mid East, South America, and Eastern Asia. You can ensure product safety by selecting from certified suppliers, including 1,815 with ISO9001, 656 with Other, and 92 with ISO14001 certification.